For thousands of years, tracking animals meant following footprints. Now satellites, drones, camera traps, cellphone networks, and accelerometers reveal the natural world as never before. 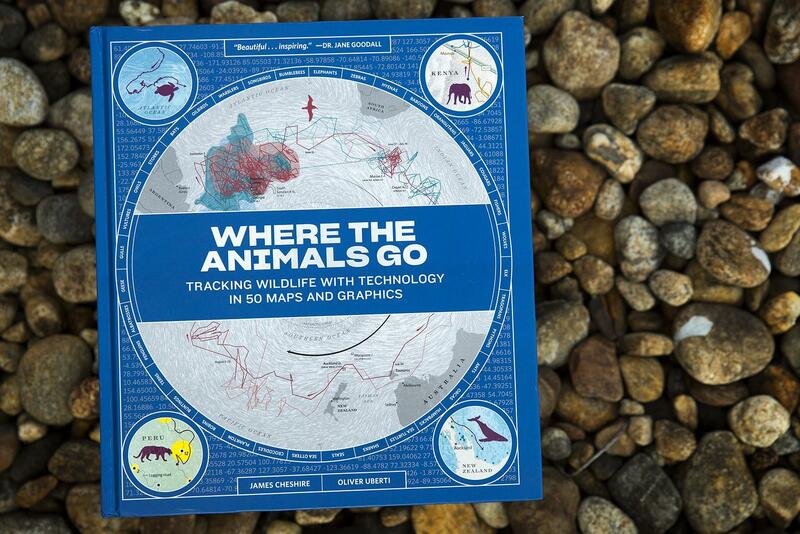 Where the Animals Go offers a comprehensive, data-driven portrait of how creatures like ants, otters, owls, turtles, and sharks navigate the world. Based on pioneering research by scientists at the forefront of the animal-tracking revolution, James Cheshire and Oliver Uberti’s charts and maps tell fascinating stories of animal behavior, explaining how warblers detect incoming storms using sonic vibrations, how baboons make decisions, and why storks prefer garbage dumps to wild forage; they follow pythons racing through the Everglades, a lovelorn wolf traversing the Alps, and humpback whales visiting undersea mountains. The first half of today's program features a conversation with James Cheshire and Oliver Uberti. In the second half, we talk with David Stoner, researcher with USU’s Quinney College of Natural Resources, and Daniel Olson, Wildlife Migration Coordinator with the Utah Division of Wildlife Resources.